Amazon sells nearly 100,000 Kindle Fires on first day of pre-orders | Android Blast! Amazon is off to a pretty good start with their Fire tablet. They raked in nearly 100,000 pre-orders on the first day of availability. Keep in mind that Apple sold 300,000 iPads on the first day of availability, but this is still great news for Amazon. 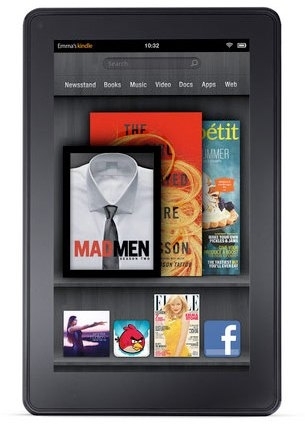 Kindle Fire sales are already burning up. Amazon took a whopping 95,000 pre-orders for its new Kindle Fire tablet in its first day on sale, according to a digital marketing firm. That number falls well short of the 300,000 first-generation iPads sold in a day, however. But analysts are confident of a strong holiday season for Amazon�s new entrant, which will begin shipping on November 15. By the time the Fire comes out in November I'm sure they'll have more than 300,000 devices sold. Keep in mind, the Fire is not a full blown tablet, but more of a reading device. It runs a very customized version of Android and does not have a camera for video conferencing.